Q&A For Emerson Hospital With Dr. Ming Wu — Tai Chi, Qigong, & TCM Master. 1. What is your philosophy about health and healing? Dr. Ming Wu: My philosophy on health and healing is that 30% of it is the doctor’s job. The patient might need to take medicine, but that’s only 30%. 70% is the patient’s job. They have to learn how to change their lifestyle — prevention. And learn how to take care of themselves. So 30% and 70% is my philosophy. The patient is our partner. 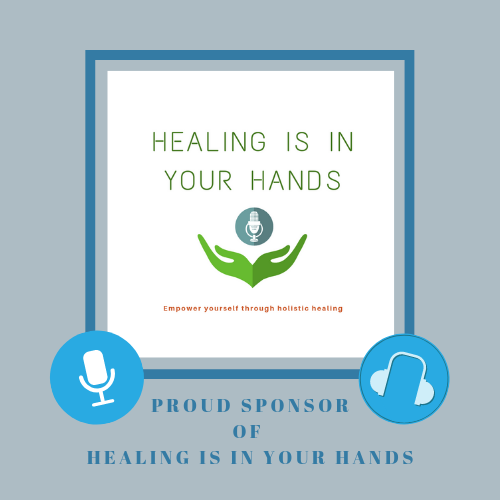 We’re going to help them heal and teach them how to stay healthy.We also focus on helping patients find the root cause – not the symptom. Symptoms will return indefinitely if the root cause is never addressed. 2. What is your background? I have a Ph.D in Chinese medicine, I’m an AOBTA certified practitioner, and a licensed massage therapist (LMT). I’ve studied Chinese medicine since I was 7 years old. I began studying Tai Chi, Qi Gong, Tui Na massage and herbal medicine at an early age with my father. I became a certified Tai Chi master and Qi Gong master at age 23. I am the 20th generation practitioner of the Fengyang TCM system, which has been passed down to me over 1,730 years. 3. How long have you been teaching Tai Chi and Qigong? I have been teaching Tai Chi and Qi Gong for 29 years total. 4. How can Tai Chi and Qigong improve overall health? 5. Can you get a cardiovascular workout through doing either Tai Chi or Qigong? Yes, Tai Chi and Qi Gong can provide a healthy cardiovascular workout. 6. What is the best age to start practicing these disciplines? What is the average age of a Tai Chi/Qigong student? The best age to begin practicing these disciplines, I’ve found, is age 7. The average age of my students is around 50 years old. 7. How can these disciplines improve your brain activity? Tai Chi and Qi Gong can improve brain activity through opening up the energy channels in the body. It helps the brain send signals to the body, and helps the blood flow to the brain. Also, it can increase the oxygenation and cell levels throughout the whole body. 8. How do these disciplines fit in with the mindfulness revolution? In Tai Chi and Qi Gong, we use slow movements to help people bring awareness to every part of their body, which helps them remain present in the moment. When you are aware of your body in the moment, that is mindfulness. In Tai Chi and Qi Gong, we do not only say “live in the moment” — we do it. We practice it. It is a practical experience. You have to come into the room and feel the group energy to experience it. You experience it for yourself, and you incorporate this new awareness into all areas of your life. So in this sense, Tai Chi and Qi Gong fit in well with this “mindfulness revolution”. People will tell you, “Oh, honey is very good for you.” You’ll read it in a book. See it on the internet. But you’ve never tasted the honey. You have to come and taste it, then it will be your knowledge. Your wisdom. Your experience. You will remember the taste – that’s practical knowledge. The practice of Tai Chi and Qi Gong is the mind-body-spirit connection. That’s what being in the moment is. Everything becomes one. You free yourself, and you feel amazing. The energy within is unlimited. You have to open up the inside first in order to connect to the Earth and the Universe, then energy will always flow. That’s what we call “living in the moment”. 9. Tell me about Tongren. What are the benefits? How can it be transformational? Tong Ren is a combination of TCM and Western science. The practitioner uses a magnetic hammer on an anatomical model of the human body in order to open up the energy blocks in the body. This method also works at a distance, and is based on the theory of Quantum Entanglement. The theory states that if one particle is changed it will instantly affect change in another, irrespective of distance. Tong Ren was founded by Master Tom Tam from Boston in 1995. 10. Can any of these disciplines increase lifespan? Yes. That’s what the main benefit of this discipline is. You become healthier, happier, and enjoy true longevity. One of my Qigong masters from Guangzhou University in China organized a conference last year featuring over 100 (healthy) people who were older than 100 years. The centenarians shared that Tai Chi, Qi Gong, and a healthy lifestyle in general helped them stay active and strong right through to their old age. He used these people as an example to help promote a healthy lifestyle to others. 11. Can chronic illnesses be aided by a practice in one of these disciplines? 12. Is there anything else you’d like to add to let the reader know how important these practices are? These practices are very important for Chinese medical doctors in China. TCM is based on Taoist philosophy, which teaches patients how to open up their body’s energy flows and live in the moment. The doctor is a teacher – the doctor’s job is 70% to teach the patient and 30% to treat the patient. In China, it is very important for doctors to practice Tai Chi and Qi Gong, because if they practice this, they can live as an example. Simply handing someone a book and telling them to practice Tai Chi or Qi Gong is not strong enough to inspire them to do it. You have to do it yourself. If the patient can see how good you are, they will follow you. It’s practical – they can see it with their own eyes. They will believe what you say. I highly recommend Chinese doctors practice Tai Chi and Qi Gong. It is very important for grounding yourself and feeling connected. Even patients with anxiety around you will get better. If you practice Tai Chi and Qi Gong, you’ll be grounded and connected, and your energy will flow. So even patients around you will feel calm and peaceful, and you can help a lot of people that way. In Taoism, we have a concept called “Wu Wei”, which means “effortless power”. You cultivate effortless power by doing Tai Chi and Qi Gong — living in the moment. As doctors, we try to help patients, but everyone is stressed out and it takes energy from us. We have to take care of ourselves before we take care of other people. It is a balance, it’s Taoist philosophy. We need to make sure we have enough energy to help them. You do this every day, and you become an example. People come around you and they feel better – without you doing anything. You have to practice this. You can’t just talk about it. P.S. You can join Dr. Wu at Emerson Hospital for Tai Chi & Qigong classes. Tai Chi on Thursday evening, and Qigong on Wednesday morning. P.P.S. If you live in West Hartford, you can join Dr. Wu for Tai Chi & Qigong classes too. Tai Chi on Monday & Tuesday evening, and Qigong on Tuesday and Saturdaymorning.